The new health care plan appears to be the old health care plan after all. Yesterday the Minister of Health released Ontario’s Action Plan for Health Care, a 14-page outline of the McGuinty government’s plan for its largest social program. The media have focused on primary care being brought under the jurisdiction of the Local Health Integration Networks (LHINs), although it is not clear whether that is just the Family Health Teams (FHTs) or whether it applies to all primary care doctors. The LHINs have complained that having the FHTs outside their jurisdiction makes it difficult to involve and fund them in projects to enhance local care. Evidently the Minister listened. Given the very substantial increase in pay doctors received by migrating to the FHTs, there is no question the Liberals are also looking for a much higher degree of accountability. Last year the auditor noted that many of the FHT patients were seeking care elsewhere. It effectively meant the Ministry was paying twice for care – once as a rostered patient at the FHT, and again through OHIP. A review on the effectiveness of the FHTs is not due until 2013. Less attention has been paid to the government commitment to “empower LHINs with greater flexibility to shift resources where the need is greatest, such as home or community care.” At present, the LHINs only really control about 1 per cent of the health care funding the Ministry transfers to them. No figure has been set as to how much of the funding will be discretionary. The document doesn’t say where the resources will be shifted from, but the implication is clear that hospitals and physicians will be the likely target. This does raise questions as to when health care providers will know what their funding levels are? Not only do hospitals no longer get a three-year window on their funding, they will have no idea how much the LHINs will poach to fund community-based care each budget season. “Money spent in one area simply means that there is less funding available to pay for the needs in another area,” the paper states. The Minister’s paper gives two examples: A one per cent increase in compensation to physicians is equivalent to the cost of home care for 30,000 seniors. A one per cent increase in funding for hospitals is equal to over five million hours of home care. In her speech the Minister spoke about shifting more procedures from hospitals to non-profit community-based clinics “if it will mean faster access to high-quality care at less cost.” While the promise to keep the clinics non-profit is welcome, the math may be dubious, not to mention the fact that scattering procedures far and wide is not necessarily patient-centered or integrated. The hospitals could see a double-whammy if the promised shift to “patient-based payments” turn out to be just another way of saying “fee-for-service.” This may make hospital funding even more unstable and create perverse incentives that may actually drive costs upwards, creating a need to actually attract patients into the hospital. When the Health Restructuring Commission proposed reducing mental health beds in the province’s psychiatric hospitals, it did so on the proviso that demand for these beds first be reduced through the establishment of community-based care. Both the Tories and Liberals were happy to slash the beds, but created major problems when sufficient community-based care failed to materialize. With hospitals at 98 per cent occupancy, there is no room for error if demand is not reduced through the transfers of funding to home care and long-term care. Yet there is no major initiative in this plan that would significantly reduce demand. Instead we are expected to believe a range of much smaller initiatives will make it possible. They include a target to reduce childhood obesity by 20 per cent over five years, but the only plan is to set up a panel to report back in the fall of this year. It lauds the reduction in the numbers of Ontarians who smoke, but there is no additional initiative beyond listing smoking cessation drugs on the Ontario Drug Benefit Formulary and expanding access to nicotine replacement therapies – something they have already done. In the one area they have done very well – Ontario has among the best cancer survivor rates in the world – they want to set up an on-line risk profile to identify individuals for comprehensive screening programs. Many of priorities have no real plan at all. They say they want to work with doctors and other health providers to strengthen the role of family health care. How? They want to have a family health care provider for anyone who wants one. How? They want the LHINs to be responsible for the “full patient journey,” but so many parts of the system are still left outside their jurisdiction. There is no indication as to whether the LHINs will be given additional resources to deal with all this new responsibility. The Liberals will be fulfilling one of their specific election promises in the plan: an expansion of house calls for seniors and three million more hours of home care delivered by personal support workers (PSWs). They will also be providing more navigators to the system – or Care Coordinators – to “make sure the right care is in the right place for seniors recovering after hospital stays to reduce readmissions.” In 2009 there were 140,000 readmissions to hospital within 30 days of the original discharge. There is also a veiled suggestion that more services may be de-listed from OHIP if the government feels there is insufficient evidence to support it. This could be controversial – Reform Commissioner Don Drummond has already spoken about dropping arthroscopic knee surgery and reducing the number of C-Sections and Hysterectomies. We’ve heard before how evidence will drive funding decisions — it seldom does. The McGuinty government has already seen the draft Drummond report. Anything to come out of it has likely been included here – much of the rhetoric appears to have been pulled directly out of one of Drummond’s many health care papers. While there are some new caution signs posted in this plan, it is mostly a continuum of what the Liberals have been doing since 2004. To watch a video of the Minister’s speech, click here. 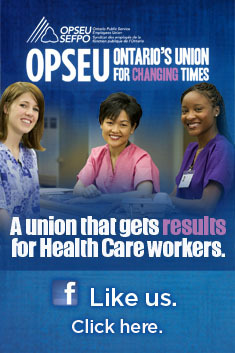 This entry was posted in Health System and tagged Deb Matthews, Don Drummond, Ontario's Action Plan for Health Care. Bookmark the permalink.